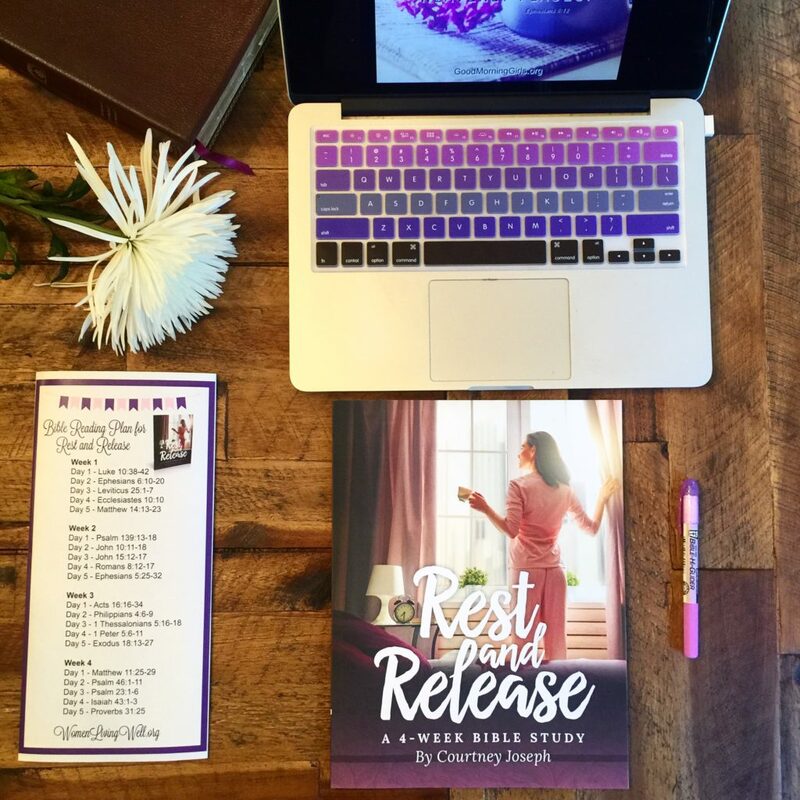 Do you struggle to find rest for your soul, on the hamster wheel of life? 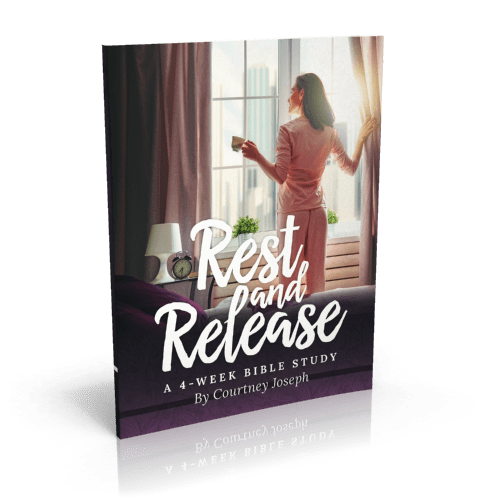 Do you feel like your load – your portion in life – is a bit too heavy and wonder what God is doing or why you must struggle and wrestle so much? Do you wish you could just release it all? If your calendar is full and you feel tense, rushed and even panicked at times – this study is for you. We must stop overbooking ourselves and slow down to meditate on God’s Word and let the Psalms comfort us, the Proverbs counsel us, the Gospels draw us nearer to Jesus, and Revelation fill our hearts with hope. Because we do not rest, we miss hearing God’s voice. This Bible Study is unlike my other studies. 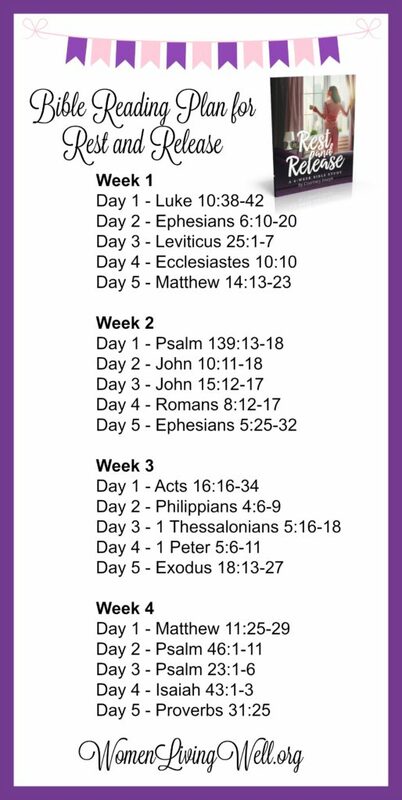 It offers a daily devotional – 5 days a week – that I’ve written inside your journal. I will lead you to the passages in scripture that have spoken to me and share some of my thoughts, a reflection question, and space to “SOAK” the passages of scripture in, for yourself. I also offer a weekly practical challenge of something I do in my home that helps me rest and live blessed. 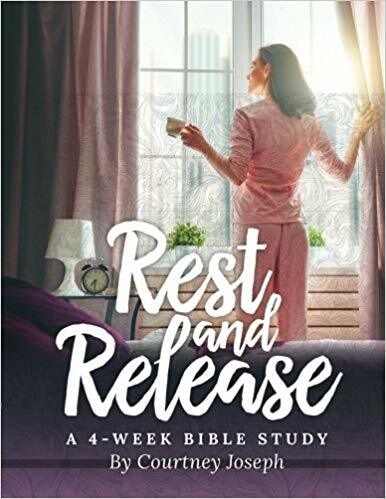 I pray that your time spent in God’s Word will lead you to resting and releasing all of your burdens, so you can live a life of peace and freedom in Christ –no matter what you are facing. Week 1 Video: Can’t Seem to Let Go? Here’s How. Can’t Seem to Let Go? Here’s How. I’m also excited to share that this Bible Study Guide has been translated into Dutch by Annelies and Belgium by Evie and Dutch by Eve! Hooray! Thank you to these amazing translators. Great job girls!